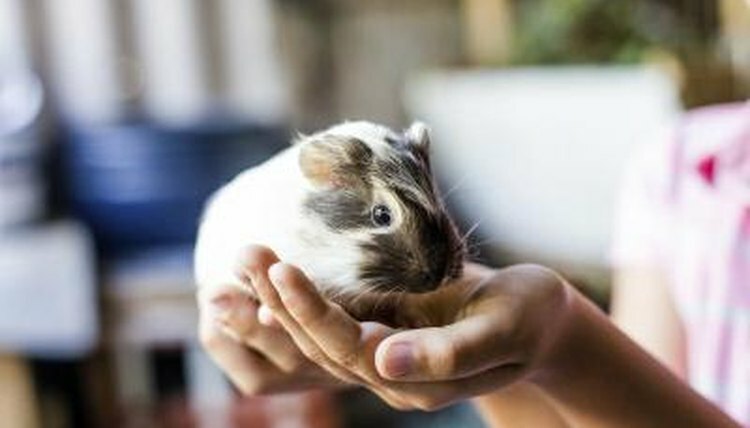 While your guinea pig may enjoy the occasional trip outdoors or a nap in a convenient sunbeam, you should take precautions to avoid illness, injury or accident. Sun and the outdoors are OK in moderation if you're vigilant. The chief danger to guinea pigs from sunlight is overheating. Guinea pigs hail from a relatively cool region of the world, and they are prone to heatstroke and other heat-related maladies. Ensure that their cage is not in direct sunlight to avoid overheating. In addition, hairless guinea pigs can be prone to skin cancer, making it even more important to keep them properly shaded. Taking your guinea pig outdoors to enjoy a brief play in the sun can be enjoyable for both of you. However, only let your guinea pig out into a secured playpen with plenty of available shade, and never leave your pet unattended. Neighborhood dogs and cats as well as airborne predators may attack a guinea pig left alone outside; even if you're outside with the pet, a raptor could attack.